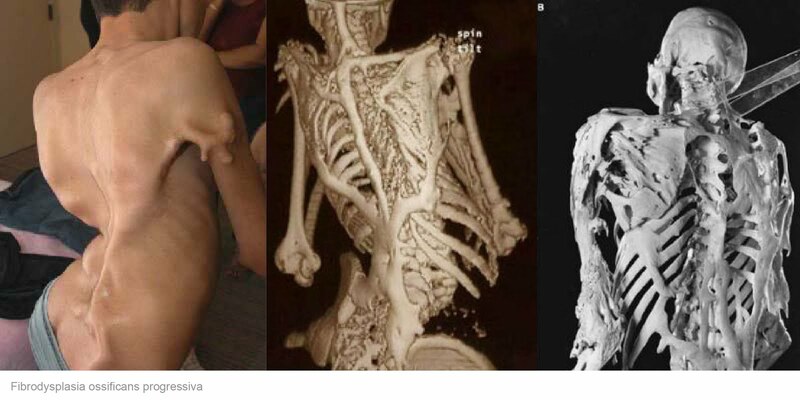 Fibrodysplasia ossificans progressiva (FOP), sometimes referred to as Stone Man Syndrome, is an extremely rare disease of the connective tissue. A mutation of the body’s repair mechanism causes fibrous tissue (including muscle, tendon, and ligament) to be ossified spontaneously or when damaged. Essentially, it causes a second skeleton to grow within the body, often fusing to existing bones, completely immobilizing the person.